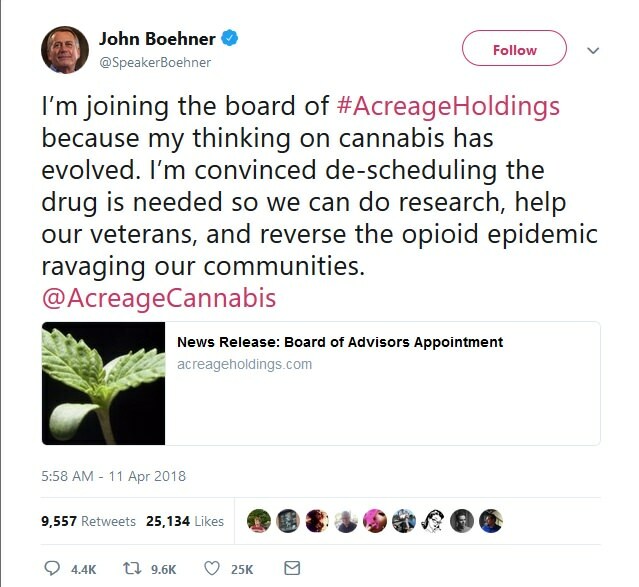 Few days earlier the former Republican speaker of the House endorsed it! Approval from Beto O'Rourk, the El Paso City Council member running for Texas senator. 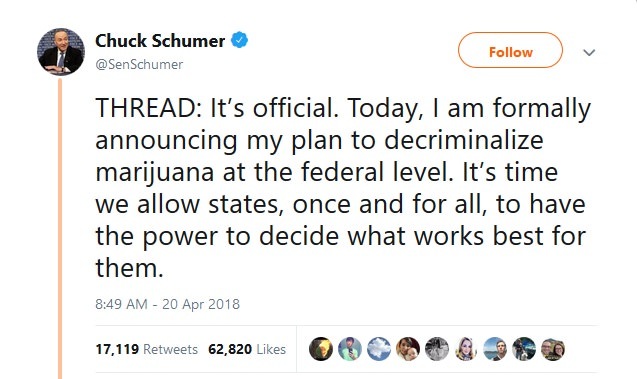 The minority leader of the House Senator Chuck Schumer takes action with a plan/bill. 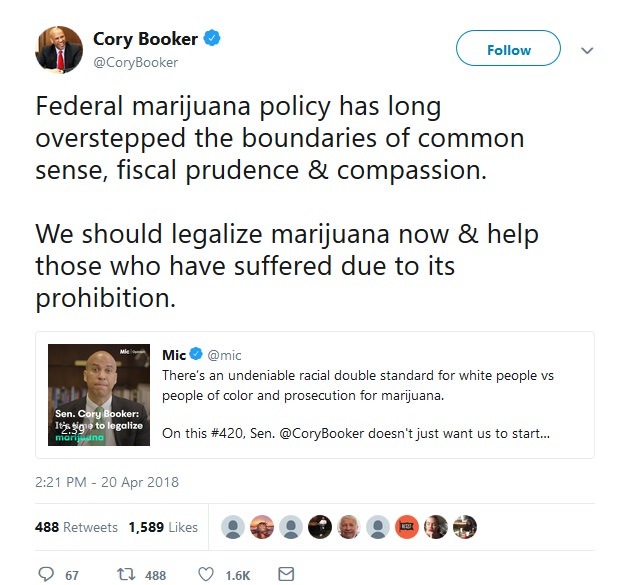 Of course Bernie Sanders wants it..
Of course Corey Booker also wants it.. 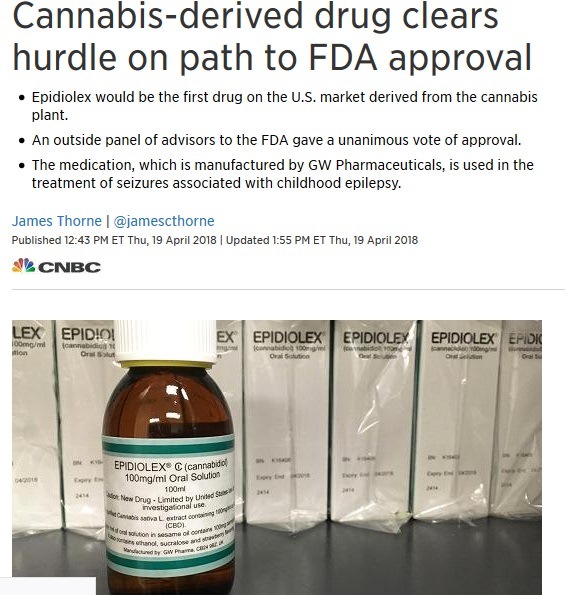 Finally, the first FDA approved drug made from cannabis! .. So you support minorities going to jail for $5 worth of weed? Boy C wrote: .. So you support minorities going to jail for $5 worth of weed? There are states with no reformed weed laws. report that they committed violent crimes during the year." 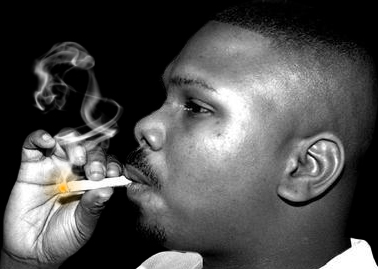 Y'all about to be smoking doe?